Mattar(Green peas)-Paneer(Indian Cottage cheese) curry is an authentic and traditional curry of North India especially served with chapathis.We love this combination very much but this is the first time I tried a dish without onion and garlic.The recipe is adapted from here,it's quite easy and delicious.The curry is also thick and creamy.So,Try & enjoy !!! -Cut the paneer in cubes and heat oil in apan,add the paneer pieces.Fry till evely slight browned.Remove on a paper towel. 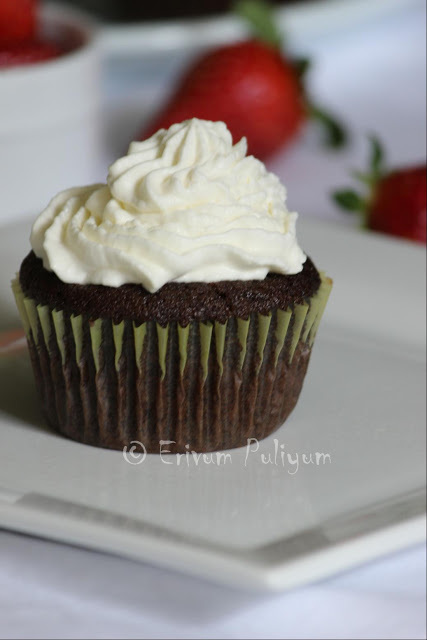 -Mix the corn starch in 3 tbsp of water and mix well without lumps. -Blend the tomatoes and ginger to a smooth paste. -Heat the same oil in the pan and add cumin seeds,let it crackle. -Add the bay leaves,asafoetida and cinnamon strand.Fry for few seconds. -Add the tomato paste,coriander powder,chilli powder,turmeric powder,paprika and let the mixture cook until it reduces to half. -Now add the green peas and 1/4 cup of water.Cook on medium heat until the peas becomes tender and add salt,paneer pieces. -Add the cornstarch mix to thicken the gravy and let it cook for 3-4 mniutes.Add the sugar and mix. -Serve warm with chapathis !! * I used the frozen packet of peas ,you can use fresh or frozen.If you are using frozen,thaw before you cook. * You can even add dried fenugreek leaves to the curry for added flavor. * You can omit corn starch if you don't like the consistency. This has always been one of my favourites; I have never used onions or garlic in it. Manjula's version has such a great blend of flavours too. 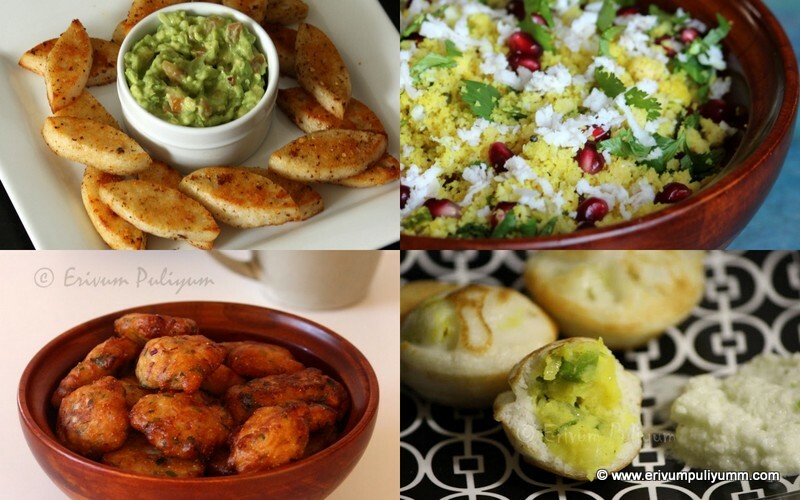 Thanks for posting it:) When I make this nowadays I grill the paneer rather then frying it. 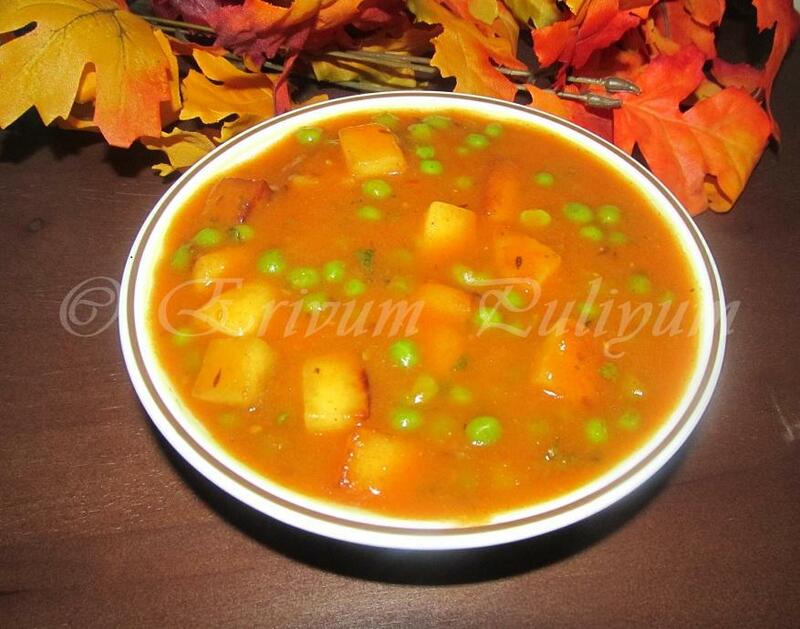 Classic combination of paneer and peas.. Love this flavorful curry..
Good option for my Jain friends! Looks so homey and inviting !! so yummy with roti!!! love this delicious curry!! Looking good, Julie. Paneer compliments cream curries so well- love it! Matar paneer looks so heathy and yummy. awesome ....super delish matar paneer! 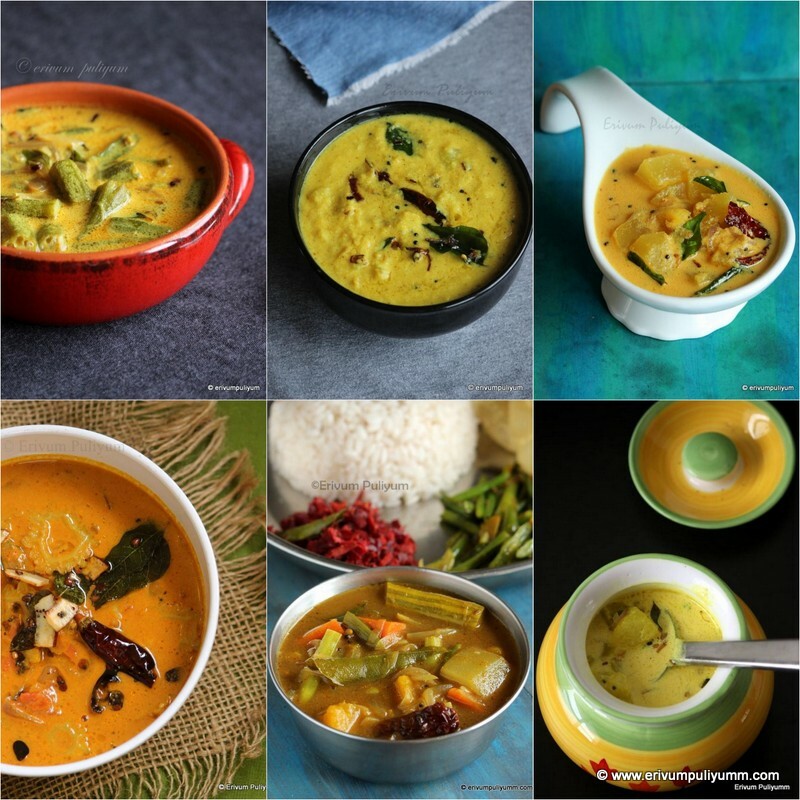 very creamy and tasty curry.. Very tempting curry...nice clicks too. sometimes simple is better. love it. Cant imagine mattar paneer without onion and garlic, incredible curry,excellent side dish. Yummy n inviting curry, sounds gr8 without onion n garlic!!! 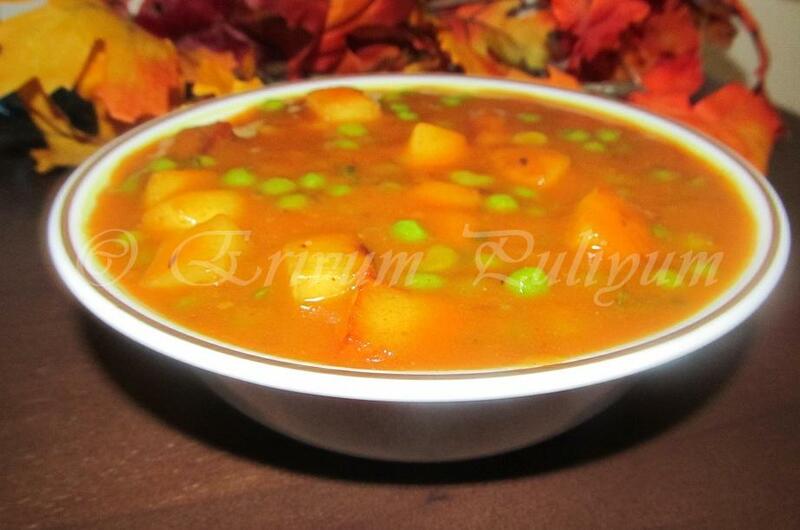 Superrr tempting masala love it with soft chapatis :) Color of the masala is too good!! What a great recipe; looks and sounds like something we would love. The platter looks delicious. 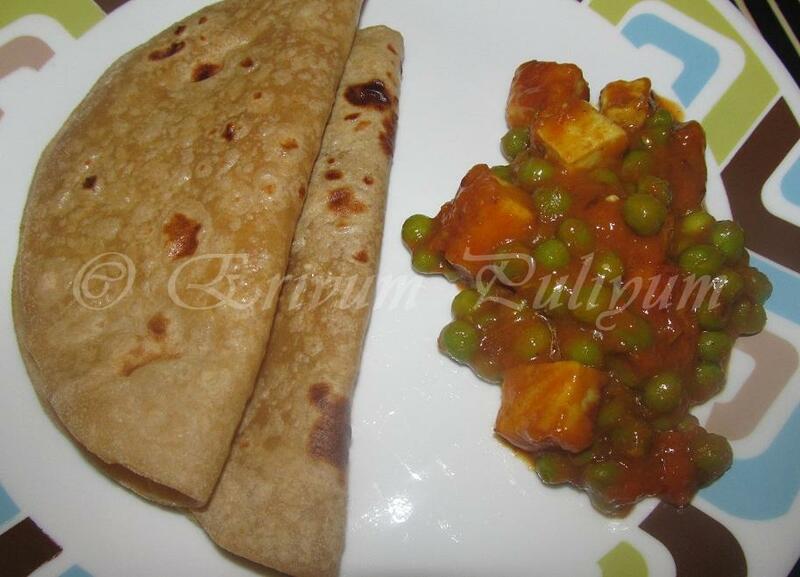 Yummy and perfect combi of peas n paneer. Delicious preparation...Curry without garlic and onion sounds yumm..
Have never tried the mattar paneer without onion. But the dish looks complete. And thanks a lot for answering my query about the frozen eschallots..